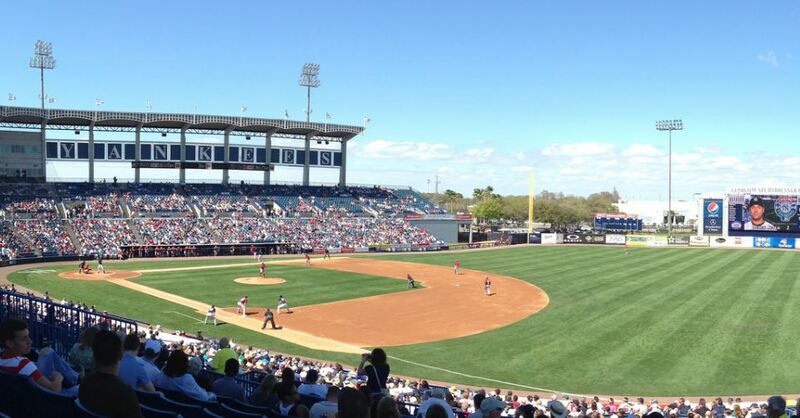 Originally known as Legends Field, George M. Steinbrenner Field is home to Yankee Legends each spring. Take a trip down memory lane as the greatest Yankees are honored with a retired number and plaque. The ballpark offers six main concession stands on the main concourse including hot dogs, beer, nachos and hamburgers. It has a seating capacity of over 10,000 and includes 12 luxury suites. Legends Field was renamed George M. Steinbrenner Field in February 2008 in honor of the Yankees owner.